← What Grows in Your Garden? Here in southern Kansas we are blessed by a long growing season (even when we have to deal with late freezes!). The long growing season allows us flexibility that is unheard of farther north. That is to say, we have the flexibility to plant multiple times in the same location throughout the spring, summer, and fall. There are various types of succession plantings that you can employ depending on what you want to plant and how much space you have. 1. An early spring crop followed by a summer crop. For example – peas or radishes followed by eggplant, peppers, or squash. It is important that the spring crop be planted quite early (March) so as to get the summer crop planted in a timely fashion. However, most summer vegetables will produce fine even if planted later in May. If spaced appropriately, the summer vegetables can be transplanted in amongst the nearly-mature spring vegetables. 2. A summer crop followed by a fall crop. For example – tomatoes, peppers, or summer squash followed by lettuce, spinach, or salad greens in the fall. It may be necessary to pull the summer vegetables earlier in September than you normally would in order to have a successful fall planting. The September planted vegetables may need protection from frost in October in order to reach their mature size. 3. Multiple plantings of the same vegetable to spread harvest over a longer period of time. There are two variations of this method: 1) planting several different varieties of one vegetable all at the same time, selecting varieties that differ in the length of time to maturity; 2) planting the same variety of one vegetable multiple times over a period of several weeks. Example of method 1 – Planting an early-maturing tomato such as 4th of July, a mid-season tomato such as Jetstar, and a late-season tomato such as many of the heirloom tomatoes. 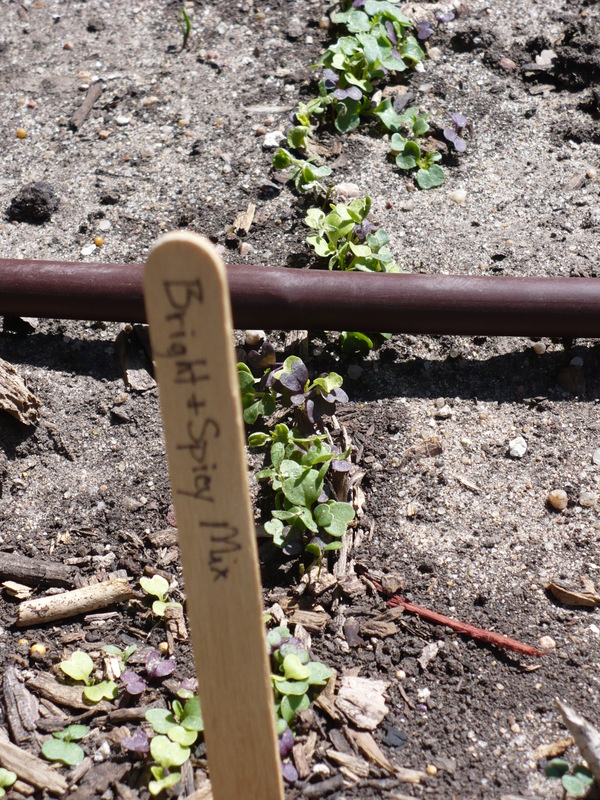 Example of method 2 – Planting lettuce every 1-3 weeks during the spring and fall. Let’s discuss method 2 in greater detail. How do you know how often to plant something like lettuce? A general rule of thumb is to start out planting about 2-3 weeks apart in the early spring and gradually move the plantings closer together. This is because plants grow more slowly in the cool temperatures of early spring. The plants mature more quickly as the spring warms up, so planting more frequently is necessary. (However, you may want to plant only half a row rather than a full row to prevent being swamped with lettuce!) In the fall you would reverse this process by gradually spacing the plantings longer apart. The other key for succession planting is to work backward from the intended harvest time to plan the plantings. For instance, in southern Kansas, the average first frost is mid-October. If you don’t plan to use a row cover to protect fall vegetables, use mid-October as your final harvest. Check the seed packet for Days to Maturity. Count back that number of days from October 15th, and make that your final planting for the fall. Then plan the earlier seeding dates from there. The same thing can be done in the spring. 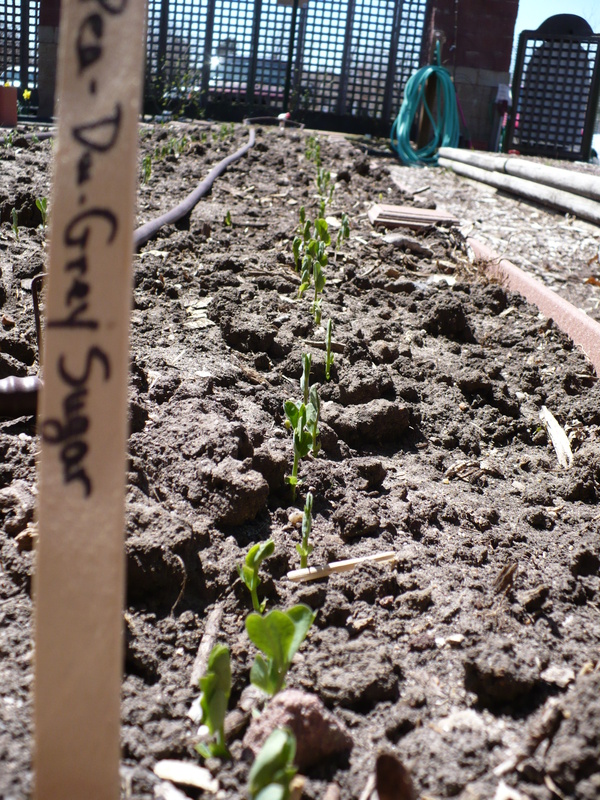 Posted on April 8, 2009, in Around the Garden, Family of 4 Garden, The First Time Gardener and tagged garden planning, vegetable gardening. Bookmark the permalink. 1 Comment.